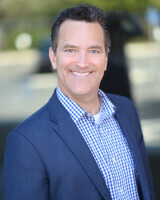 Tom Gastil has been the Lead Pastor of Aliso Creek Church since 1998. Tom grew up in Glendale, California and did his undergraduate studies at California State University, Northridge. He then went on to earn a Master of Divinity from Princeton Theological Seminary. 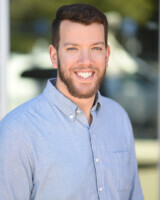 After graduating from Princeton, Tom made his way back to southern California and served for several years as a youth minister at Irvine Presbyterian Church. Tom and his wife, Liz, have been married since 1991 and together they have 3 grown kids: Garrett, Miles, and Paige. Nick is a southern California native. He grew up in Ventura, California, and he received his undergraduate degree in Biblical Studies from Azusa Pacific University. Soon after graduating, Nick married his wife, Katie, and the two of them moved to Boston where he attended Gordon-Conwell Theological Seminary. Nick received a Master of Divinity and a Master of Arts in Ethics and Society. Nick came on as the Director of Youth and Young Adult Ministries in the summer of 2014. In February of 2016, he was ordained and now serves as our Associate Pastor. Nick and Katie had their first child, Oliver, in December of 2018. 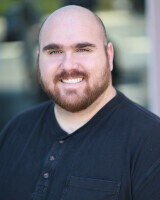 Donovan Raitt has served as the Director of Music at Aliso Creek Church since September of 2009. He was born and raised in Irvine, California, and has been playing the guitar since he was 11. Donovan is a graduate of the Thornton School of Music at the University of Southern California where he received the Paul LaRose memorial scholarship for guitar. Donovan went on to receive a Masters of Music in Jazz Studies from California State University, Long Beach. In addition to his work at Aliso Creek Church, Donovan is a faculty member in the music department at Concordia University. 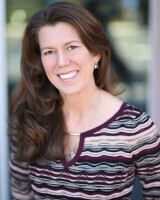 Laura grew up in San Diego, California where she graduated from Santa Fe Christian School. She completed her degree in music education at Azusa Pacific University, as well as a certificate in child development from Citrus College. Before coming to Aliso Creek Church, Laura served as the director of Children’s Ministry at Foothill Vineyard Church in San Dimas. She’s passionate about teaching children the incredible sacrifice Jesus made for them and the amazing love He has for them in hopes that children will show that same love to those around them. 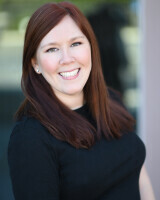 Laura is happily married to Donovan Raitt, the Director of Music at Aliso Creek Church. Eva was born in Beirut, Lebanon, and grew up in Libya, Holland and Brazil until her family moved stateside. She graduated from the University of Oklahoma with a Degree in Marketing and started her career as an Event Planner with the Four Seasons and Ritz Carlton resorts in California. In addition she performed with Ballet Oklahoma and the Palm Springs Ballet Company. After meeting her husband, David, and starting their family – son, Trevor, and daughter, Tristan – Eva became the Marketing and Public Relations Manager for two Tenet Healthcare medical centers. When David’s career moved them to Florida, San Diego and then Irvine, Eva enjoyed consulting in Marketing, Fundraising and Event Planning. Now she is glad to put those gifts to use for God’s church.